The Taliban was created by America, Saudi Arabia and Pakistan in the late ’70s and early ’80s to fight the Soviet occupation of Afghanistan. On the heels of the recent withdrawal of the defeated American Army from Iraq, President Barack Obama reached a peace agreement with the Afghan Taliban just before Christmas. He ordered the removal of supposed 9-11 mastermind Mullah Muhammed Omar from the FBI’s Ten Most Wanted list, releasing several Taliban prisoners from Guantanamo Bay and promising them a role in the future Afghanistan government. 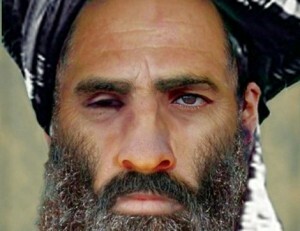 According to Iranian news media reports based upon documentation released by Iranian intelligence, U.S. military and State Department officials met secretly in Afghanistan with the leadership of the Afghan Taliban and reached a broad-based understanding that is intended to be the foundation for an Afghan government. The first condition was the unilateral release by the U.S. government of five Taliban leaders currently held in Guantanamo Bay and an end to the American demand that Omar, the leader of the Taliban, be arrested and prosecuted. The removal of Omar from the FBI’s Ten Most Wanted drew protests from the government of Hamid Karzai, which is threatened by the move. Karzai leads the coalition of U.S.-backed former insurgents who overthrew the Taliban government in 2001, following the 9-11 attacks. “The Afghan government has called on the U.S. Embassy in Kabul to explain about the reports on removing Mullah Mohammad Omar’s name from the blacklist,” a Karzai spokesman said. The story was first broken in the Pakistani media, which claimed the accord as a victory for Islamic insurgents in their country and Afghanistan who have been jointly fighting American forces since 2003. According to the official story, Mullah Omar gave shelter to Osama bin Laden after 9-11, and the United States invaded and occupied his country on the premise that he had played a role in assisting the attacks, in which thousands of Americans died. The accord may be part of an effort by the U.S. to resurrect Sunni resistance to the largely Shiite Iranian government. The Iranians have consolidated power in Iraq following the U.S.withdrawal. They are allied with the government of Syria and the Hezbollah guerrillas who control much of Lebanon, and which controls much of Afghanistan. Since the Islamic revolution, Iran had been largely contained by Sunni enemies on both sides—Saddam Hussein in Iraq and the Taliban in Afghanistan—but the elimination of these forces allowed Iran to achieve regional dominance. The Taliban was created by America, Saudi Arabia and Pakistan in the late 1970s and early 1980s to fight the Soviet occupation of Afghanistan. Along with the CIA, it later spawned a revolutionary movement, al Qaeda, whose leaders the U.S. has repeatedly claimed it killed during the decade of war that followed. Saudi Arabia is a major regional rival to the Iranian government. The Saudi monarchy adheres to a variant of Islam called Wahhabism, which is opposed to Shiite Islam. Нет. В то время голодных детей из Петрограда отправили на лето на Урал, что-то типа летнего оздоровительного лагеря. Но из-за гражданской войны ЖД пути, ведущие на запад, оказались блокированы, и часть детей не смогла вернуться. Сотрудники Красного Креста вывезли их во Владивосток, там поселили в бараках на острове Русском. Когда в 1920 году экспедиционные силы США покинули Россию, детей забрали с собой. Понял. Очередная беда, связанная ,с любой впрочем, войной. On June 15, three months after the NATO bombing of Libya began, the African Union presented to the U.N. Security Council the African position on the attack – in reality, bombing by their traditional imperial aggressors: France and Britain, joined by the U.S., which initially coordinated the assault, and marginally some other nations. At the outset of the bombing, the A.U. called for efforts at diplomacy and negotiations to try to head off a likely humanitarian catastrophe in Libya. Within the month, the A.U. was joined by the BRICS countries (Brazil, Russia, India, China and South Africa) and others, including the major regional NATO power Turkey. In fact, the triumvirate was quite isolated in its attacks – undertaken to eliminate the mercurial tyrant whom they had supported when it was advantageous. The hope was for a regime likelier to be amenable to Western demands for control over Libya’s rich resources and, perhaps, to offer an African base for the U.S. Africa command AFRICOM, so far confined to Stuttgart. No one can know whether the relatively peaceful efforts called for in U.N. Resolution 1973, and backed by most of the world, might have succeeded in averting the terrible loss of life and the destruction that followed in Libya. On June 15, the A.U. informed the Security Council that “ignoring the A.U. for three months and going on with the bombings of the sacred land of Africa has been high-handed, arrogant and provocative.” The A.U. went on to present a plan for negotiations and policing within Libya by A.U. forces, along with other measures of reconciliation – to no avail. The African appeal can be found in the Indian journal Frontline, but was mostly unheard in the West. That comes as no surprise: Africans are “unpeople,” to adapt George Orwell’s term for those unfit to enter history. On March 12, the Arab League gained the status of people by supporting U.N. Resolution 1973. But approval soon faded when the League withheld support for the subsequent Western bombardment of Libya. And on April 10, the Arab League reverted to unpeople by calling on the U.N. also to impose a no-fly zone over Gaza and to lift the Israeli siege, virtually ignored. That too makes good sense. Palestinians are prototypical unpeople, as we see regularly. Consider the November/December issue of Foreign Affairs, which opened with two articles on the Israel-Palestine conflict. One, written by Israeli officials Yosef Kuperwasser and Shalom Lipner, blamed the continuing conflict on the Palestinians for refusing to recognize Israel as a Jewish state (keeping to the diplomatic norm: States are recognized, but not privileged sectors within them). The second, by American scholar Ronald R. Krebs, attributes the problem to the Israeli occupation; the article is subtitled: “How the Occupation Is Destroying the Nation.” Which nation? Israel, of course, harmed by having its boot on the necks of unpeople. Another illustration: In October, headlines trumpeted the release of Gilad Shalit, the Israeli soldier who had been captured by Hamas. The article in The New York Times Magazine was devoted to his family’s suffering. Shalit was freed in exchange for hundreds of unpeople, about whom we learned little, apart from sober debate as to whether their release might harm Israel. We also learned nothing about the hundreds of other detainees held in Israeli prisons for long periods without charge. Among the unmentioned prisoners are the brothers Osama and Mustafa Abu Muamar, civilians kidnapped by Israel forces that raided Gaza City on June 24, 2006 – the day before Shalit was captured. The brothers were then “disappeared” into Israel’s prison system. Whatever one thinks of capturing a soldier from an attacking army, kidnapping civilians is plainly a far more serious crime – unless, of course, they are mere unpeople. To be sure, these crimes do not compare with many others, among them the mounting attacks on Israel’s Bedouin citizens, who live in southern Israel’s Negev. They are again being expelled under a new program designed to destroy dozens of Bedouin villages to which they had been driven earlier. For benign reasons, of course. The Israeli cabinet explained that 10 Jewish settlements would be founded there “to attract a new population to the Negev” – that is, to replace unpeople with legitimate people. Who could object to that? The strange breed of unpeople can be found everywhere, including the U.S.: in the prisons that are an international scandal, the food kitchens, the decaying slums. But examples are misleading. The world’s population as a whole teeters on the edge of a black hole. We have daily reminders, even from very small incidents – for instance, last month, when Republicans in the U.S. House of Representatives barred a virtually costless reorganization to investigate the causes of the weather extremes of 2011 and to provide better forecasts. Republicans feared that it might be an opening wedge for “propaganda” on global warming, a nonproblem according to the catechism recited by the candidates for the nomination of what years ago used to be an authentic political party. Интересная статья о том, что мечты о Марсе значили для советского искусства. Russia's Foreign Ministry has attacked America's human rights record in its first report on injustice elsewhere in the world, offering examples such as the Guantanamo Bay prison and wrongful death row convictions to paint the U.S. as hypocritical for lecturing other nations on the subject of rights. 'The situation in the United States is a far cry from the ideals that Washington proclaims,' says the newly-released report. Про Болотную и Сахарова так же не забыли. Растёт число школ в США, в которых полиция дежурит в коридорах. Учеников арестовывают за бросание бумажных самолётиков и за отказ подобрать крошки с пола столовой. Почему государство криминализует обычное детское поведение? Washington clearly wants 'finito' with Russia's Putin as in basta! or as they said in Egypt last spring, Kefaya--enough!. Hillary Clinton and friends have apparently decided Russia's prospective next president, Vladimir Putin, is a major obstacle to their plans. Few however understand why. Russia today, in tandem with China and to a significant degree Iran, form the spine, however shaky, of the only effective global axis of resistance to a world dominated by one sole superpower. Вашингтон хочет покончить с Темнейшим. Small Wars Journal (USA), "Revolutions Are Violent"
The Arab Spring, as our most thought provoking event of 2011, should remind would-be-American-revolutionaries what a revolution really is: the break down of society and order, a revolution in power, which (mostly) results in violence. The point of this post, the “So what?” if you will, is that revolutions often end in severe, uncontrollable violence. And often then transition to authoritarianism. Американцы не хотят у себя революцию. Americans don't want a revolution in their own country. But virtually none of these Iranians believe that revolution is imminent, or, for that matter, even desirable. Iranians inside Iran recognize that the regime, the Supreme Leadership, and the concept of an Islamic Republic still enjoy some support (however difficult it may be to quantify). The religious classes, branches of the military, and those in rural areas might be very much opposed to the status quo, but actively support the regime, as they define it. Like everywhere else in the world, most Iranians worry about their pocketbooks, and the economy is what they want to see improve more than anything else. The nuclear program continues; Iranians go about their business, grumbling as they do. But a nation that weathered a revolution, an eight-year war with Iraq, and more than 30 years of sanctions and the enmity of the West is not about to crumble, nor to change direction. Nothing that the United States or the West can do -- not even war -- will solve the "Iran problem" to its satisfaction. Внешнее давление не заставит Иран прекратить свою ядерную программу. Outer pressure won't make Iran to cease up its nuclear ambitions. Dozens of workers assembling Xbox video game consoles climbed to a factory dormitory roof, and some threatened to jump to their deaths, in a dispute over jobs that was defused but highlights growing labour unrest as China's economy slows. The dispute boiled over last week after contract manufacturer Foxconn Technology Group said it would close the production line for Microsoft Corp.’s (MSFT-Q27.890.170.61%) Xbox 360 consoles at its plant in the central city of Wuhan and transfer some workers to other jobs, workers and Foxconn said Thursday. Десятки рабочих-сборщиков игровых приставок Xbox взобрались на крышу заводского общежития, и некоторые угрожали спрыгнуть на встречу смерти, из-за разногласия по поводу работы, которое было разрешено, но которое выдвигает на передний план растущие трудовые волнения, в то время, как Китайская экономика замедляется. Unelected Euro judges are making a relentless attack on British laws laid down over centuries by Parliament, a devastating report warns today. A group of Tory MPs are demanding action by the Prime Minister over figures which show the UK loses three out of every four cases taken to the unaccountable European Court of Human Rights. The explosive research will reignite the row over Europe’s demand for rapists and killers to be given the vote in prison, and intensify calls for Britain to withdraw from the court’s jurisdiction. Европейская война с британским правосудием: Великобритания проигрывает три из четырех дел в европейском суде по правам человека. * 10 ть членов парламента от партии консерваторов призывают премьер-министра предпринять меры. * Говорят, что необходимо "покончить с правлением судей". * Из 350 дел Британия проигрывает в 271 случае и выигрывает только в 86. * Время доклада совпало с тремя приближающимися спорными судебными постановлениями. * Дэвид Кэмерон обещает взять на себя инициативу.